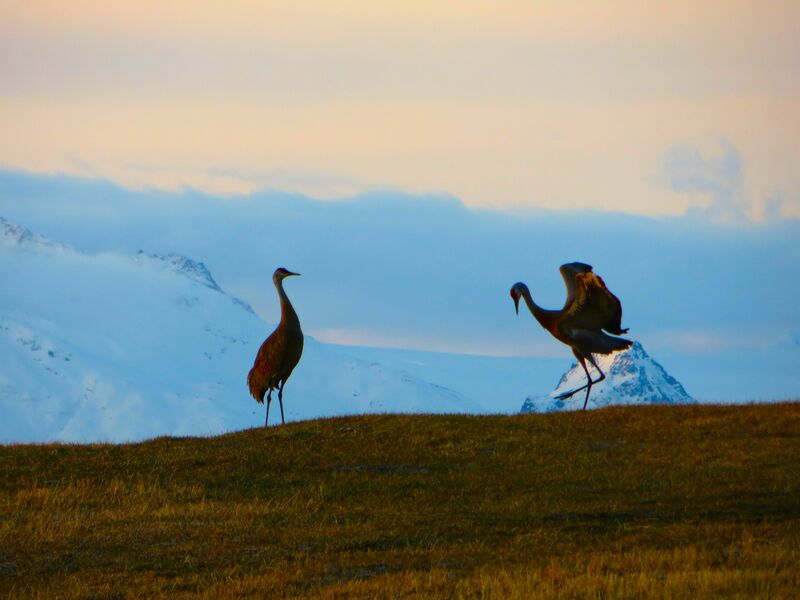 If you have not yet reported to Kachemak Crane Watch about the nesting pair of Sandhill Cranes in your neighborhood, please send in a report so we can get a more solid number. So far, 20 pairs have been verified, with about 4 still unconfirmed. If you have had a pair hanging around and now only one is showing up, then disappears, and then one shows up again, it probably means the pair is now nesting. Most Homer cranes lay their eggs in the first week of May. Let Kachemak Crane Watch know if you have a pair showing up one at a time. We would like to confirm nesting. Note the date so you will know in 30 days to be watching for colts. Enjoy all the birds and the programs at the Shorebird Festival. See you out birding! This entry was posted in Uncategorized on May 4, 2015 by Nina Faust.